Here is a situation that comes up often: groups A and B have some kind of issue with one another. By ‘group’ I could mean family, community, culture, race, nation, religion, etc. By ‘issue’ I could mean anything from some persistent gripes to major threats, violence, and hostilities. These issues could be on one or both sides, and to varying degrees of balance. In both of these groups you have individuals who are very hateful, suspicious, distrusting, or otherwise disfavor members of the other group for things they may have done. The actions could have been done by the group ‘officially’ as a group, or some individuals could have taken the actions without it officially being a ‘group’ action. Also, within each of these groups, you have individuals who, when they were taught as a child about things like forgiveness, tolerance, not stereotyping, and having compassion even for enemies – actually believed it! And – worse – it wasn’t just a naive phase they went through. All that stuff really stuck, and they actually try to be that way in real-world situations – not just in church, in songs, in word, or when teaching children. Those poor fools didn’t get the memo that everyone else was just bullshitting when they say things like that. So, inevitably people in both groups will start to overdo things. They’ll over-generalize, hold the other group to a standard they themselves don’t meet, become consumed with hatred or fear, make up things or get ideas about the other group that aren’t true, or just plain make some logical mistakes. Or, perhaps they haven’t done much wrong themselves, but haven’t really taken the steps they could to make things better. Inevitably, those individuals who believe in all that compassion stuff will tend to point these kinds of things out to their fellow group members. This doesn’t typically go very well, as you might imagine. 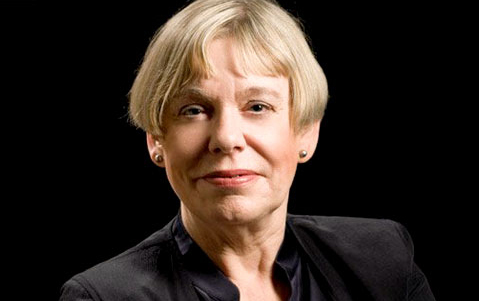 Recently Karen Armstrong, former nun, religious historian, and founder of the Charter forCompassion, wrote an article in The Globe and Mail called, Islamophobia:We need to accept the ‘other’. In it, she called for less prejudice against moderate Muslims living in the Western world and a return to greater tolerance and egalitarianism. The responses and comments to Ms. Armstrong’s article were very similar to responses I have experienced when writing on the belief page of the Houston Chronicle, making similar calls for compassion, understanding, or forgiveness regarding some ‘other’ group. The similarities were so striking that I decided to write the following summary to point out some common fallacies and misguided responses many of us may have when hearing or reading of someone in our group doing the same. I hope this may be helpful. One of the most common responses to someone pointing out ‘areas for improvement’ amongst their own side, is to retort with a litany of all the bad things the other side has done (correct or not, distorted or not). However, it is typical that an author is speaking to ‘their own’. The other side is not typically the readership of an author’s article. So, pointing out what the other side has done, as though it were a matter of some kind of scoreboard, proceeds from a false assumption that we can control the actions of others. 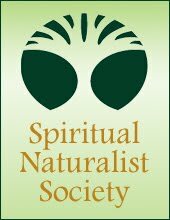 When speaking to our own group, the aim is to get us thinking about other groups as an individual should think about the outside world – with the knowledge that we need to get our own house in order, morally and ethically, because we all have control over what kind of family, community, society we are going to be. As I have explained in previous articles, if we decide that our formula for tolerance and forgiveness will be to require it of others first, this will create a downward spiral of empathy and compassion in our world if that standard is taken as universal. Some of us mistakenly think that if our own wrongdoings are less in number or severity than the other side’s, that we are absolved of the responsibility to be the best and most noble we can be. Our aim should be to be better than our enemies, not let their actions determine the kind of people we are going to be. This is a common logical fallacy in more general cases than just our topic here. Many respond to calls for compassion with nitpicky criticisms of small factoid mentioned in passing or as examples or even analogies to the deeper point and in support of the call to action. While it is helpful to point out inaccuracies, these corrections are sometimes biased themselves, and often leave the impression that the point of the article has been negated when, in fact, the corrections were immaterial. Sometimes, the correction may be to support some other error listed here. For example, if the correction of a point of fact is to add to the guilt of the other side, the commenter may be doing so in order to commit error #9 or #10. Meaning, the correction is still immaterial to the point. As mentioned, it is typical that the author of an article takes note of their likely audience, given the paper, magazine, site, or other form. As such, the author is specifically talking to their own readership and, most often, their own group. It doesn’t make much sense to call on group A to do x, when speaking to group B. So, why not go write another article in some other venue that reaches group A? Often this isn’t very effective, either because of language barriers, cultural barriers, or because people tend to listen more to those from their own group. In fact, this is the reason why calling for better ways from our own groups is so important – because we can reach our own much more effectively. Often, writers of this kind form ambassadorial-like relationships with compassion-callers in the other groups, who write to their own on the other side. Even so, it’s a good idea for authors to include caveats acknowledging the other side’s need to do the same, of course. But, in fact, even though many authors do include these caveats, they are typically ignored by people posting this kind of response. When reading an article by an author that is obviously focused on compassion or any other virtue, it is most reasonable to grant the author the benefit of the doubt and assume that they value this virtue in all places by all people in similar conditions. The faulty nature of this response is so obvious that it should hardly need to be stated. Even those who have posted responses like this probably know what I’m about to write here, but this response is most common in emotionally-charged topics where those who know better aren’t necessarily thinking straight. Sadly, some may have deeper misconceptions and think this response is valid even after giving it some thought. The key error in this response is a misguided value system by which we pursue arguments, policies, and actions primarily for the purposes of bolstering ‘our side’ rather than an honest pursuit of truth and fairness. This kind of loyalty-based pseudo-ethics is the same system employed by mobsters, who need some kind of substitute structure to maintain operations despite the lack of real ethics. Another common response to calls for compassion toward others is to assume the author is ignorant of all the bad things the other side has done, or that they are naive and presume that such compassion will have some kind of unrealistic, concrete, immediate response from people of ill will. This is a common criticism levied against those who say we should at least try to negotiate with enemies. One source of this error is simply misunderstanding what the author is saying, perhaps assuming the purpose behind the call for compassion – as though compassion is merely a tactic, a means to some external end. They imagine that, if the author knew of the bad things the other side had done, or if the author understood the other side wasn’t likely to reciprocate, that this would somehow undermine the point or change their position on what we ought to do. They believe this because they have an insufficient comprehension of what compassion and forgiveness are about, and why they are important. The differences between the author and the commenter in this case are not typically one of understanding the issue, but in their respective value systems as applied to the issue. Many of those who criticize these calls for compassion sometimes have a distorted view of the overall weight of different factors concerning the issue. This can often come from getting all of one’s information from a narrow channel of sources, which may limit their exposure to other points of view and even limit their awareness of facts that might enable them to see some of the other side’s perspective or any kind of equity between the two groups. Critics should take care to read about an issue from a number of different perspectives and sources. I often say that, if we disagree with another position, we should know enough about it to (in theory) pass as a proponent of that position in a debate, making even others of that position think we were on their side. This kind of generalization is far more common than should be, given even average intelligence, and underscores how much emotion can distort our thinking. Often a few trouble-makers, or even a lot of trouble-makers (yet still in the minority) can give a bad name to an entire group. This isn’t to say that is always the case, but it often is. Even where blatant generalization of this kind isn’t happening, critics can often assume that the rest of the people in that group aren’t opposed to what the others on their side are doing. They may ignore their efforts to stop it, hold them to unrealistic expectations to do so, and so on. Ironically, when responding critically to calls from their own to be better, critics may not realize that the author is the very kind of person they are calling for more of in the other group. Consistently, they should be proud of such individuals on their own side. Sometimes calls for consideration of the innocents among the other side can be taken as the author’s acceptance or agreement with the other side’s doctrines or positions. This lack of nuance can lead to a lot of misguided or irrelevant criticisms of such calls. Often, this is a short step away from error #6. However, it is often the case that there are many innocent people in a group with which we may have a problem. By being tolerant of them, and even reaching out to them, we may find many more effective ways of working with that group than we could without their understanding. This is perhaps the most pervasive and common response to any call for compassion or forgiveness of wrong-doers, on both an individual and social scale. Those who make this criticism do so because they misunderstand what forgiveness or tolerance entails, and why it is employed. First, they imagine that tolerance means ‘tolerating the acts’ in the sense of not working against them. They don’t realize that one can act vigorously against others, even while maintaining compassion for them. This is the distinction between an inner hatred that harms the hater, and a pure internal motivation. Or, they may think that forgiveness means condoning the thing being forgiven, as though forgiveness was some kind of reprieve. However, forgiveness means – precisely – that a wrongdoing has been forgiven; not that the wrongdoing has been redefined. Unless a wrongdoing happened and it was really a wrongdoing, then no forgiveness could have taken place. More importantly, forgiveness is a gift we give to ourselves. *Note: for purposes of referencing the very issue at hand, I use the terminology of “the other side” as a semi-paraphrase of the position against which I am arguing. Yet, in many ways, this terminology itself encourages an us/them mentality which may do us a disservice. On your mobile phone: Text "follow dtstrain" to 40404 to receive text notices when new Humanist Contemplative articles are available. What life practices have you found helpful? Please note that this is a current and active blog, but its archive is a complete collection of all my previous blog websites, going back to 2004. Entries prior to December of 2010 may mention their original website locations or have links that were designed for them. For more information, please see, History of this Blog. Content (c) Copyright, DT Strain. Simple theme. Theme images by sololos. Powered by Blogger.